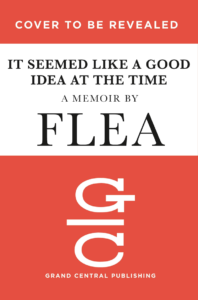 A while ago, Flea said he was writing his autobiography but nothing had been heard about it since… until a few days ago when links on various sales sites started popping for the autobiography. It’s called ‘Acid For The Children’ and has an expected release date of the 25th September. There is currently a working cover until the proper one is released. This entry was posted in Flea by Squitherwitch. Bookmark the permalink.